Taking a backpacker bus in New Zealand. If you have done any sort of research into travelling around New Zealand, you will probably have heard about “hop-on hop-off”. Hop-on hop-off is a type of backpacker bus network in New Zealand, which, simply put, is a flexible bus tour for adventurous travellers! Unlike the national coach buses, the hop-on hop-off bus is a guided route with emphasis on activities and social experiences with like-minded travellers. Get the full comparison in What is the Difference Between Hop-on Hop-off and National Coach. With a mix of free and optional pay-as-go activities, the bus trip around New Zealand is action-packed. What’s more, the “hop-on hop-off” aspect of the bus trip means you can opt to get off the bus and enjoy some independent travelling at most points during the route, making hop-on hop-off a popular means of transport for backpackers. The hop-on hop-off bus companies operating in New Zealand are Kiwi Experience, Stray and Flying Kiwi. Kiwi Experience and Stray work in very similar ways in terms of how they operate and what’s included, offering you a method of transport around the country with your first night of hostel accommodation guaranteed and the option to book activities with them. Flying Kiwi work slightly differently with camping accommodation and at least one meal per day included in the bus pass. Of course, there are other differences, and we’ll get to that later. The hop-on hop-off bus companies offer a variety of bus passes, from their entire bus route to just one island to any smaller section in between. You cannot, however, buy a bus pass for a one-day trip. You need to be committed to a route! Find out how to find good deals on bus passes in 5 Tips to Get a Better Deal on a Backpacker Bus Pass in New Zealand. Once you have your bus pass, you can complete the route within 12 months (or 24 months in Flying Kiwi’s case), allowing you full flexibility! Book your route with the bus company’s reservation team and hop-on the bus to begin your adventure. You can either follow the same bus around the route in the minimum amount of days, or hop off the bus at any time or location along the route. Then, when it comes to hopping back on the bus, book with the reservations team again and get back on the bus on your next chosen departure date (or when the next bus is available, as buses can be fully booked in summer). Note that Flying Kiwi’s minimum time to hop off the bus is 9 days, as they have less frequent departures than Stray and Kiwi Experience. Find out more about how to use the hop-on hop-off for transportation in How Does the Hop-on Hop-off Bus Network in New Zealand Work? Not just a means of transportation, the hop-on hop-off bus in New Zealand is like a flexible tour, meaning your days travelling with the bus will be action-packed. Expect both free and optional paid activities, as well as being booked into the bus company’s recommended hostel (or campsite if with Flying Kiwi) if you choose to stay in the same accommodation. Along the route, there will be a wealth of short hikes, lakes, waterfalls, hot pools and more to take advantage of. The bus will stop at these noteworthy locations to take part in some free activities. With each day that you travel on the bus, there are also a selection of optional activities to take part in, which are added extras to pay for once you arrive at the activity provider. You can usually sign up to one or two activities per day or as little activities as you want. The bus driver books these activities for you so it’s hassle free. If you stay with the bus company’s recommended hostel/lodge/overnight accommodation, then the bus driver books this for you, then you pay for the night once you arrive at the accommodation. The first night at each location is guaranteed. More nights can be booked but this is subject to availability. You don’t have to stay in the recommended accommodation. In this case the bus driver can usually transport you as close to your chosen accommodation as possible, but you will need to book your own accommodation yourself. In the case of Flying Kiwi, they travel with tents so accommodation is included in your bus pass. They stay at campsites around the country where you can choose to upgrade to a solo tent or a cabin in some locations. 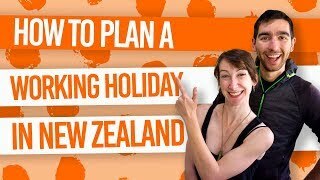 Get the ins and outs of what sort of activities you can expect with the hop-on hop-off bus in A Day in the Life of a Hop-On Hop-Off Bus Passenger, as well as a detailed account on what it’s like to travel a day with Kiwi Experience, Stray or Flying Kiwi. What is the price of hop-on hop-off travel with Kiwi Experience and Stray? With Stray and Kiwi Experience there are a number of costs you need to consider when taking the bus because these are not all-inclusive tours. The prices of bus passes fluctuates with the sales. Plus, prices really depend on which bus pass you buy. For a full national pass the price can be anywhere between NZ$1000-2000. Keep an eye on those sales and read our 5 Tips to Get a Better Deal for a Backpacker Bus Pass. Although the bus driver can book accommodation and activities for you, you pay for these as you go. 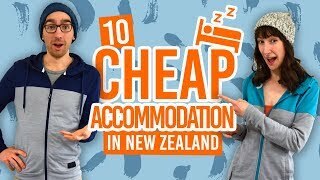 You can expect to pay around NZ$20-30 per night for accommodation (with a couple of exceptions, which you can read more about in our How to Budget for a Hop-on Hop-off Trip Around New Zealand). For activities, the prices can range from NZ$10 to NZ$400+, so making your own personal activities budget is essential. We’ve made a list of typical activity prices in The Cost of Backpacking in New Zealand. You will need to provide your own food and drink on the trip. By either stopping in a destination with a supermarket or making a supermarket stop during the day, the bus will give you regular access to a supermarket to buy your own food to cook at the hostel, which is the best way to keep food costs low. Having group meals with your fellow bus passengers is another way to reduce food expenses. For more money-saving tips and how much you can expect to pay on the Kiwi Experience or Stray bus, check out How to Budget for Hop-on Hop-off Trip Around New Zealand. As mentioned, Flying Kiwi works a little differently. You don’t need to worry about an accommodation budget, as accommodation is included in the trip. Although Flying Kiwi does offer at least one meal a day (some days it’s three times a day, sometimes it’s two), there are going to be some occasions where you are going to need to buy your own meals. This is usually when there is no access to a kitchen so you’ll be buying food from cafes, take-aways and restaurants, so budgeting for some meals is a must. Take a look at typical take-away prices in What is the Cost of Backpacking in New Zealand?